There are few people in the restaurant business who have kept farm to table real better — or longer — than Chicago’s Helen and Mike Cameron. They opened Uncommon Ground in 1991 and ever since have been blazing trails in providing diners with locally and sustainable produced food. From its beginnings as a 850 square foot coffeehouse on Clark Street near Wrigley Field, Uncommon Ground has expanded — at its original spot and the Devon Avenue location opened in 2008 on the far North Side — to two 4,000 square foot full-service restaurants, both of which have music performance spaces; the Devon location has the nation’s first certified organic rooftop farm, and the Camerons opened Greenstar Brewing, Illinois’ first all-organic beer producer, in 2014. 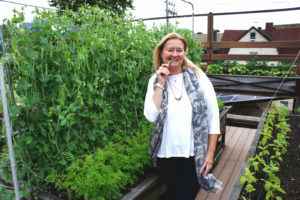 If you are in the Chicago area, you can help the Camerons celebrate Uncommon Ground’s 25th anniversary at two events: an open house at the rooftop organic farm on Devon this Friday (July 1) from 5-8 p.m., and the official 25th anniversary party on Clark, Thursday, July 14 from 5-8 p.m. 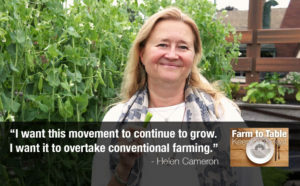 The following is an excerpted q-and-a with Helen Cameron, conducted at Uncommon Ground’s flourishing rooftop farm on June 16. 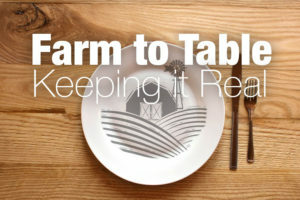 FamilyFarmed (FF): Since this is your 25th anniversary coming up, was there a local food scene when you started this? 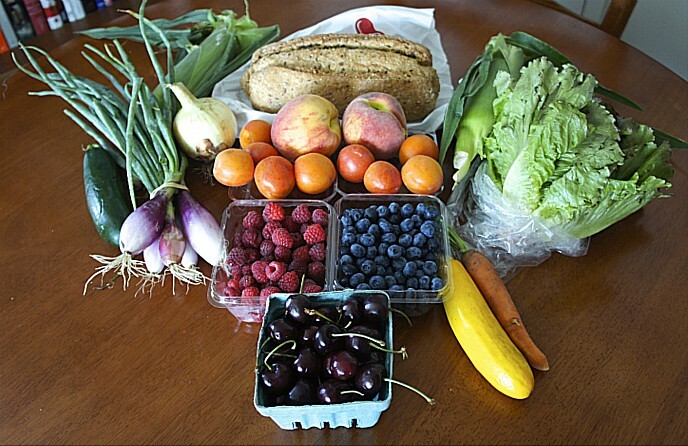 Years later, the Green City [farmers] Market opened and that really changed everything, because it provided a connection to farmers much closer to the Chicago area, closer to home, many still from Michigan as well. It set me up to not have to do those road trips to get those goodies anymore. Those items were coming in to us. FF: You must have been pretty unusual at that time as someone who went to them? Cameron: We are uncommon by nature. [laughs]… Whereas in your conventional type of restaurant your chef is calling a couple, two, three purveyors, we were probably making 20, 25 phone calls to get everything we needed. That was pretty inefficient for us and the farmers… Eventually we managed to spend some time talking to Testa [a Chicago produce wholesaler]… They were very open to sorting out a way where they could identify and buy local produce and let the restaurateurs who were interested in purchasing that local produce have a way to purchase that and have them deliver it to us, and also invoice us appropriately so we knew where our food was coming from…. Now, by providing a market to those local people and allowing them to succeed, now they’re able to do more and more… Now, we get great product year-round. One of the biggest revelations most recently is MightyVine tomatoes. As soon as the tomato season in the Midwest ended, I stopped having fresh tomatoes on my menu. For many, many winters, we had no red ripe tomatoes. But now with these MightyVine tomatoes and they are just delicious, they are so local and so brilliant… It’s a game changer. FF: As a real early adopter, at what point, did you look back and realize there really was a parade behind you? 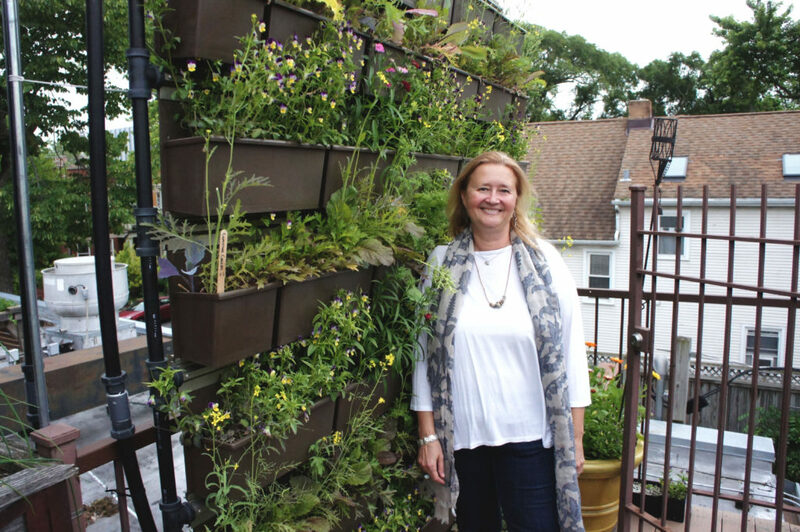 FF: Let’s talk about this rooftop Garden of Eden. While growing a lot of food, all of which gets used up in the restaurant, we have two farm directors who are training a team of interns. Over the years we’ve had many amazing interns who have gone on to do great things in the world of urban agriculture, which I’m very proud of. 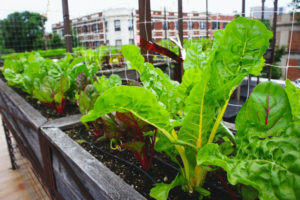 I’m growing food but I’m also growing people who can grow food. 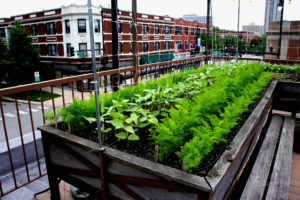 Those people then take what we’ve taught them and they pay it forward in this world of urban ag and organic production. 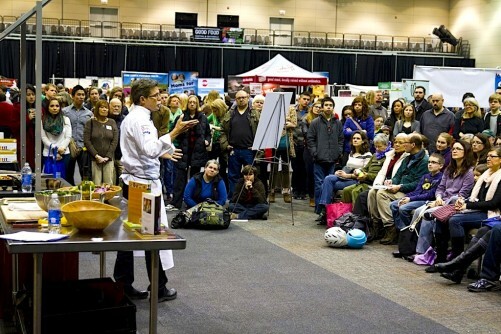 And kids, we’ve had so many kids groups come through… I think it’s really, really important to start educating children about where their food comes from, and to eat that fresh food, to create that dietary habit… In order to bring health back to our population, it starts with getting kids eating that Good Food and educating them and their parents. We are really working on every front we possible can to incorporate that… And now we’re doing kids eat free Monday through Friday from 5 to 6:30, really just trying to get a stronger connection with parents and their kids and feed kids better food. If I don’t want to eat it, if I’m so horrified by it that I don’t want to put it in my mouth, I’m certainly not serving it to anybody in my restaurant… Over the years that has served me well, I have been able to make those connections and I’ve been able to find things that I really prefer to have here. And hopefully in the process I’ve taught so many people. This entry was posted in Chef activism, Chef advocacy, Child nutrition and health, Family Farms, Farm to table dining, Farm to Table: Keeping It Real, Farmers markets, Food activism, Food and community, Food and health, Food education, Food Entrepreneurs, Good Food Dining, Good Food restaurant trends, Good Food Success Stories, Healthy eating, Healthy eating for children, Local Food, Regional food systems, Restaurants and Good Food, Sustainable dining, Urban farming, Young farmers and tagged Chicago farm to table, Chicago restaurants, FamilyFarmed, farmers markets, food and community, Green City Market, Greenstar Brewing, Healthy Fare for Kids, local food, Local Foods Chicago, MightyVine tomatoes, Organic brewing, rooftop growing, sustainable food, Testa Produce, Uncommon Ground Chicago. Bookmark the permalink.